Can Dogs Eat Coconut? How About Coconut Oil, Milk & Water? Today’s question: can dogs eat coconut? The short answer is yes. Want to know more? Scroll down for detailed answers. Many of us enjoy the wonderful benefits of coconuts and coconut oil, whether as a nutritional food source or as a cosmetic resource. Symbolic of the tropical, laid back lifestyle, coconuts have become synonymous with areas such as Hawaii, the Bahamas and India, as well as pirates in general. But where do they come from? 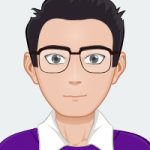 What are the real benefits of them? Are they even a nut? And can dogs eat coconut? Can dogs drink coconut milk? A member of the palm family, the coconut is in fact a drupe, a fruit, rather than an actual nut. The name coconut actually derives from the 16th Century Portuguese or Spanish word ‘coco’ which means ‘head or ‘skull’, in reference to the three markings that appear on the shell of the coconut, which look similar to the holes in a skull at the eyes and mouth. Experts still argue over the exact origins of the coconut, but it is generally accepted that they probably came from the Indian-Indonesian region. It is noted that they dispersed themselves around the globe by dropping into the ocean and allowing currents do the work. The coconut tree thrives in sandy soils, which is why they grow almost exclusively on the beach. They need a humid climate and a lot of rain with an abundance of sunlight. Hence why we see them predominantly in the Bahamas, Hawaii and Indonesian beaches. Coconuts are very versatile. They are used in many ways, as mentioned, from food to cosmetics. Virtually every part of the coconut palm can be used by humans in some way or another. They are mass cultivated for decoration, culinary and non-culinary uses alike. The coconut seed itself has many culinary uses. The seeds can be used to make margarine, as well as oil for frying. They can be eaten as they are as well. The fleshy, white fruit of the seed is probably the most commonly eaten part of the seed. This is used dried as flakes or fresh in cooking, most frequently in desserts. When mature, the seeds can be used as seednuts or to produce oil from the kernels. The shells are often used to make charcoal and the husk, which is highly fibrous, can be used as coir. Coconut milk and oil are great for cooking as well. Yes, your pooch may enjoy some coconut once in a while in small quantities. Coconut is not toxic to dogs. However, it is noted that coconut may cause digestive problems since it contains medium chain triglycerides. Always start out with small amounts and then observe your dog. If you notice any digestive issues, bloating or stomach ache, stop giving your pooch coconut. The short answer is yes. Dogs can eat coconut oil 1-2 times a day with meals. Coconut oil has become very popular in recent years, most notably as a replacement of vegetable oils used for frying, due to its healthier characteristics. But many health experts would in fact recommend against regular consumption of coconut oil, due to its high saturated fat content, which is close enough to that of animal fat. Others argue that coconut oil provides the good kinds of fats. Many suggest the benefits of using coconut oil include nourishment for hair and skin, help with digestion, by way of the antimicrobial properties which fight irritation and infection, and the promotion of an all round healthy immune system. These so-called beneficial fats are known as lauric acid, which makes up 50% of coconut oil’s fat content. This is the same fat we receive from breast milk, and coconuts actually provide the next best source of lauric acid after breast milk. In the body, aluric acid is converted yo monolaurin, an antiviral and antibacterial compound that supports the ammune system. For dogs, coconut oil can improve skin and coat, increase energy levels, reduce allergic reactions, and help with digestion. 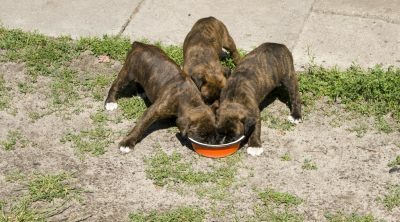 You can give up to 1 teaspoon to 1 tablespoon daily for large dogs and 1/4 teaspoon for small dogs. It’s recommended to start slowly with tiny amounts. Observe your dog’s weight when adding coconut oil to his/her regular diet. If your dog is overweight, don’t give him/her coconut oil more than once a day. Additionally, coconut oil can be great to trick your dog to take his/her pills. Use it as a coating on pills. You can also use coconut oil topically on your pet’s coat to smooth and freshen it. Coconut milk also has a number of uses within cooking, most frequently added to curries to give a rich and creamy texture. Coconut flesh is grated from inside the shell and boiled, causing the cream to rise to the top. Repetition of the process thins the cream, turning it to the milk we add to curries and other dishes. The thicker stuff is often used in richer dishes and desserts. But can dogs drink coconut milk? Yes, your dog can drink coconut milk in moderation. You can also use coconut milk to bake treats for your pup. Yes, your pooch can drink coconut water. Coconut water has numerous benefits for your dog. The water contains natural electrolytes. If your dog suffers dehydration or bad bout of diarrhea, you can offer him/her some coconut water. The coconut water also contains calcium, potassium, magnesium, selenium, zinc, sulfur, iodine, vitamin C and B-vitamins. It is also believed that coconut water can reduce the size of kidney stones and prevent urinary tract infections. It is even claimed that coconut water reduces aging. There are no conclusive studies done on this matter though. Don’t give your dog coconut with a shell. However, it would be quite remarkable if your dog managed to actually get beyond the tough exterior of the coconut, but if it did, that’s really your only concern. The shell could be hazardous and get caught in the throat or digestive system, which would be extremely uncomfortable and painful for your dog. Coconuts are high in fat so only offer it to your dog in small amounts. 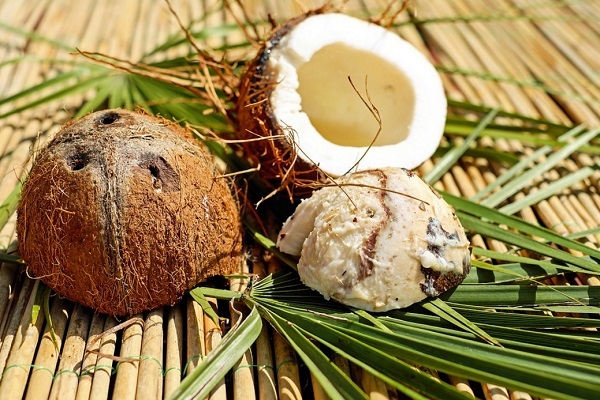 For humans many suggest that coconut fat is a healthy alternative to vegetable fat. That doesn’t mean it’s healthy to go eating pots of it every day. If, for whatever reason, you decide to add coconuts to your dog’s diet, do so in moderation. You may find yourself in a beautiful house, with a beautiful wife and dog, surrounded by coconut trees. It doesn’t matter; don’t over indulge in coconuts, or over feed your dog on coconuts. You and the dog will get fat eventually. There are undoubtedly very few who have the strong desire to add coconuts to their dog’s diet. It is more likely you’re reading this because, randomly, your dog has eaten something coconut based, or a whole coconut. It’s not important. If your dog eats something along the lines of the coconut, it’ll be fine. Feed them your leftover chicken korma if you want. But don’t do it too often. You shouldn’t really feed your family dog scraps from the table but every now and then we all do. Or else the dog takes a few liberties and gets the whole pot down from the counter. A bit of coconut is a decent source of fiber and vitamins for your dog. If you were to add a small amount to its food every now and then it might even produce some nice results on its coat and skin. But don’t make it a staple; the dog probably isn’t all that into the flavor anyway. Realistically in fact, there is no need to feed your dog coconuts. They are not natural to a canine diet and all of the nutritional benefits found in coconuts can also be found in food sources that are natural to a dog’s diet, such as meats and vegetables, which contain less saturated fats and more fats that are natural for dog consumption. 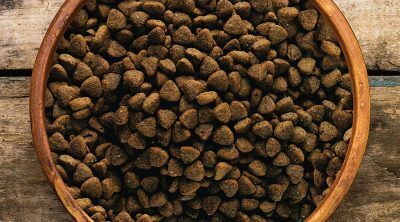 Any high quality dog food will contain the right levels of protein, minerals and fats and will have been tailored to the correct levels to suit your dog’s age, breed and size. 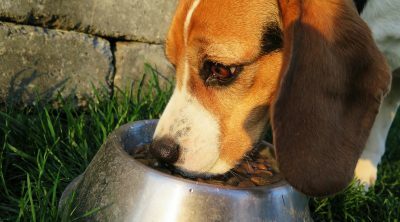 A dog’s diet does not need the variety that a human’s does, and offering too much variety can lead to problems. 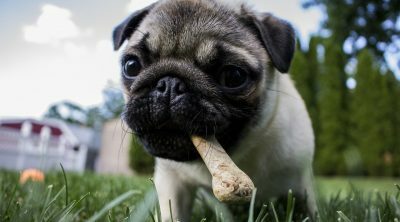 You may develop bad eating habits in your dog, who believes coconuts are now a staple in his diet. 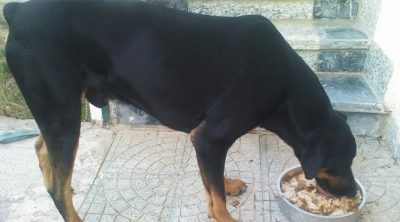 For all you know, you may also be slowly poisoning the dog as well, so think long and hard before you decide to start feeding your dog nuts as a snack. 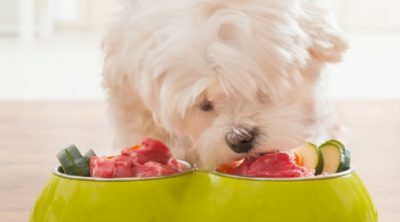 Can Dogs Eat Turkey? 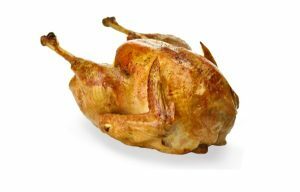 Is Turkey Good Or Bad For Dogs?